Tien Phong Commercial Joint Stock Bank (TPBank) was founded on May 5, 2008 with strategic shareholders that own expertise and financial strength including: Doji Gold and Gems Group FPT Corporation, Vietnam National Reinsurance Corporation (Vinare), SBI Ven. Holdings Pte.Ltd (Singapore), International Finance Corporation – IFC (a member of World Bank) and PYN Elite Fund. With an initial charter capital of over VND 2,000 billion, TPBank has grown steadily, achieved outstanding business results and repeatedly been recognized as a prestigious financial institution as the Best Bank in Vietnam. After 10 years of operation, TPBank’s total assets have exceeded VND 127 trillion; end of 3rd quarter of 2018 profit of over VND 1.6 trillion; opening balance increases to VND 8.566 billion, number of customers reached 2.2 million. TPBank always strives to offer the most effective banking and financial solutions and products, targeting young and dynamic segment, aiming at being the pioneer in setting trends in modern banking services and becoming the Leading Digital Bank in Vietnam. With its current technology infrastructure, TPBank has many advantages in applying advanced technology to automatically implement banking services, product development and high-technology based e-banking services. It provides a digital transaction environment with services such as: TPBank eBank, eBank Biz, TPBank QuickPay… etc. that have been appealed to customers by their convenience, quickness, safety and efficiency, developing cash-free payment habits for a large number of customers. TPBank is also the first bank in Vietnam that successfully launched model of 24/7 Automatic Bank called TPBank LiveBank, allowing customers to make almost all basic transactions as they can do at bank counter and especially customers can interact with remote tellers via video call and this model has received many positive feedbacks. In 2017, TPBank also launched TPBank QuickPay – a money transfer mobile app using QR code, bringing a variety of benefits to customers of different ages. With such efforts, TPBank has received multiple rewards: Certificate of merit by Hanoi People’s Committee, Best Auto-Loan Product in Vietnam, Vietnam Strong Brand Award, Best Internet Bank Vietnam and Best Retail Bank Vietnam…etc. In 2017, TPBank was ranked as one of the 10 strongest banks in Vietnam by The Asian Banker and among the top 50 most profitable enterprises by Vietnam Report. With the slogan “A deeper understanding”, TPBank desires to use the foundation of “understanding” of its customers to build a leading service quality. Understanding to share, understanding to accompany its customers to create the best and most suitable products and services that bring the highest value added. This is also the compass for a suitable development that TPBank is aiming for. 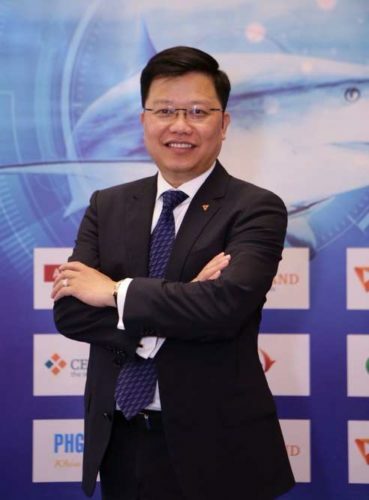 Mr. Nguyen Hung the CEO of TPBank on the occasion of winning Fastest Growing SME Bank Vietnam 2018 spoke to us about their success, the SME sector in Vietnam and their strategy for the year ahead. Congratulations on your award-winning, what initiatives do you attribute to your success? Develop on trade finance products and services such as: pre-delivery finance, post-delivery finance, LC import and payment and money transfer services. The number of customers using trade finance products of TPBank increased 60% and trade finance income increased by 80% compared to 2017. Supply chain: A series of typical TPBank has successfully built and achieved success as Owner – Contractor – Supplier of materials – End user or Importer and assembler of cars – Showroom – End users … Thanks to the development of the chain, the number of SME customers as suppliers, distributors and end users increased fast and credit risk reduction. TPBank builds credit products for SME customers. These products handle the weaknesses of SMEs who not have collateral and have difficulty to access capital from banks. TPBank approached to the needs of customers so our products grow well. What is the SME sector like in Vietnam? What are some of the major challenges they face? Today, Vietnam has more than 600.000 enterprises, of which more than 95% are small and medium enterprises. The number of new SMEs every year is over 120.000 Vietnamese government’s goal is to have 1 million by 2020. SMEs play an increasingly important role in Vietnamese economy, especially job solutions and increased contribution to GDP. Enterprises can’t build a stable business management system to improve their competitiveness and long-term development. With all weaknesses, SMEs hardly compete to FDI enterprises that joined Vietnam so the number of closed SMEs each year is quite high. As a strong supporter of small to medium-sized businesses. Can you tell us more about some of the support services you offer SMEs? How does the support offered to SME clients differ from the needs of large corporations? As mentioned above, weakness of SMEs, especially new SMEs, is lacking in financial strength, experience and management. Deeply understanding that, TPBank has been proceed finance advisory activities, setup business management training classes, support ecommerce, online paying… to help SMEs accumulate knowledge and necessary experience on business. Can you tell us about some of the unique partnerships you have with others to support entrepreneurs? IFC granted HN trade finance to TPBank so we can open high valued LC to non-accepting TPBank LC leading market or new markets not yet known TPBank and other financial institutions. 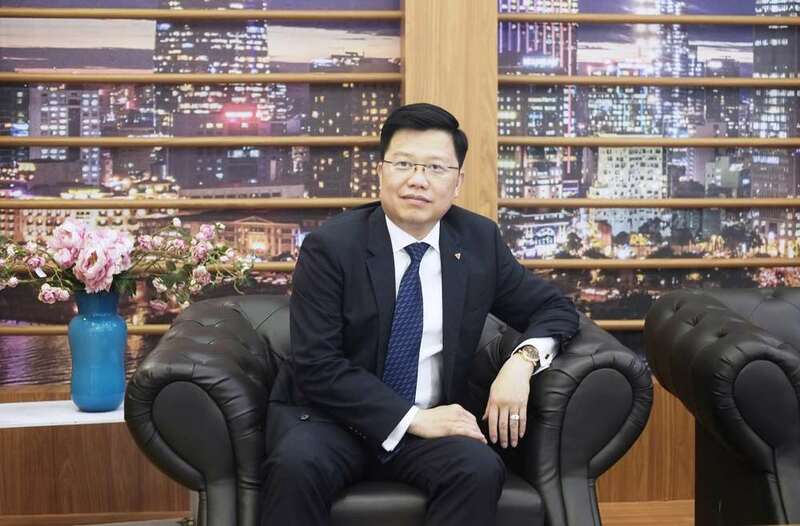 IFC provides short-term and long-term capital for TPBank, especially long-term capital for investment of businesses then TPBank will directly finance SME enterprises in Vietnam. The IFC’s credit limit for TPBank has been raised annually and reached a large number. IFC cooperates with TPBank to provide LC confirm services to Vietnamese exporters when customers export to new high-risk markets and need a third party to guarantee. How do you ensure customers are receiving the best customer experience available? With slogan understanding to serve, all products and services of TPBank have been designed in detail to meet the needs of target customers. Every year, we periodically conduct customer surveys twice a year to make improvements for our services. In addition, we have some secret surveys to get more multi-view of service quality as well as customer needs. In your opinion, what role should financial institutions take to support the social economic development in Vietnam? Nowadays, banks are most important capital mobilization channel in Vietnam, so the role of banks is very important. Strong and stable Bank systems will importantly distribute to the development of Vietnamese economy. In addition, banks are leading on applying digital technology of 4.0 economy on daily business. This is the source of inspiration for other enterprises to follow. What is your strategy for continued growth and development? Continuously applying digital technology on bank activities to improve productivities, high quality services to serve customers better. Building, improving SMEs products to meet hard requires of customers. Look for new markets, smaller markets to develop.